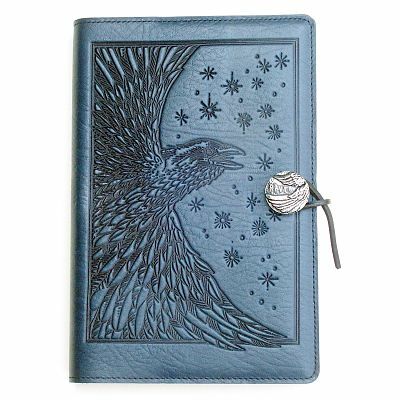 - Raven soars across a star-filled sky, bringing a promise of magic and mystery. 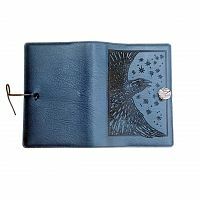 A delight to the eye and hand, this journal is ideal for use as a diary, travel or dream journal, BoS, or for sketching, notes, and appointments. In navy blue leather. Pewter button also has a raven motif. The journal measures 6" by 9". 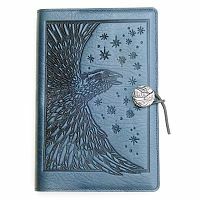 Do you have any other questions about our Large Raven Leather Journal?